What is the XPS4 Wall Switch? The XPS4 is the NEW VERSION of the XPS3! It has been updated and upgraded! Use this relay switch for any sort of appliances, fans, or lighting. Works great with the newer alternative lighting (incandescent, halogen, LED, etc). This is a 20 Amp switch and it can handle most 120v appliances. It does require a neutral wire. This switch is built with a new, more reliable relay. It is also almost silent! The older XPS3 switch had a very audible noise when turning on and off, no longer! The switch also has AGC (automatic gain control). What this means for you is a more reliable X10 experience as the AGC will weed out some of the line noise directly surrounding the switch. This switch also houses our Night Light feature. 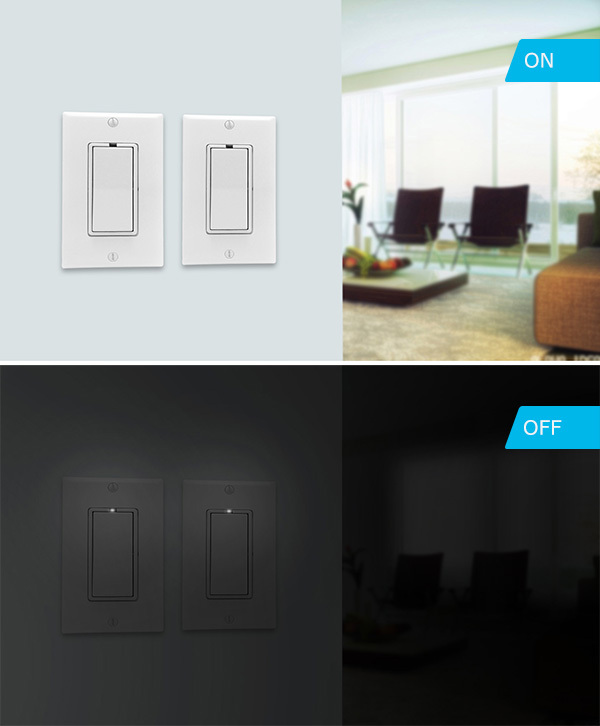 This makes the switch ultra easy to find at night and gives the switch a very classy look! We have made sure to not make it too bright, just a simple glow that will assist you in locating the light during the darkest of nights. Upgrade to the XPS4 and enjoy these added benefits! What are the advantages of using the XPS4 Wall Switch? 20 Amp relay switch for heavy duty 120v appliances like pool pumps and AC units. What other products work with the XPS4 Wall Switch? If you are looking to replace a switch that is in a 3-Way configuration (two switches operate the same light), use the XPSS Secondary Switch at the site of your current secondary switch. If you want to control this switch remotely, check out our Controller Section.